The way in which medicine explains disease determines, to a great extent, the approach that is taken to treatment and prevention ([Thagard, 1999]). Myelodysplastic Syndrome (MDS) and its frequent sequela, secondary Acute Myeloid Leukemia (AML), have been explained as clonal disorders of hematopoietic stem cells, which arise as the result of exposure to genotoxic agents, particularly cancer therapies such as chemotherapy and radiation ([Lichtman and Brennan, 2001]). Treatment has until recently been guided by viewing MDS as a disorder of differentiation, or an incipient malignancy requiring additional genotoxic agents to suppress. 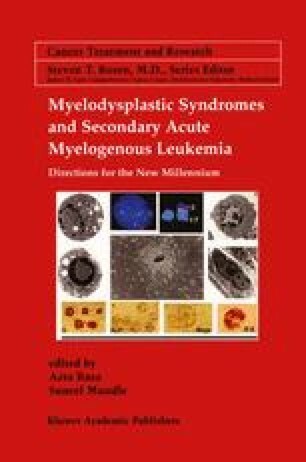 These assumptions regarding etiology and therapy may be inadequate to answer fundamental questions regarding this disease, such as why only certain individuals exposed to the same chemotherapeutic agents develop MDS/secondary AML, why certain individuals evolve from MDS to secondary AML more rapidly than others, and why treatment with additional genotoxic agents has not proven curative.